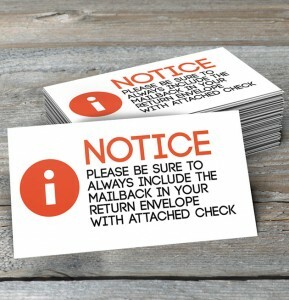 Check / Money Order – Please make your check payable to Baptist World Mission, PO Box 2149, Decatur AL, 35602-2149. Please write the missionary names/projects you are contributing to in the subject line of your check. Online Giving – Use your credit card, debit card, or your bank account to give to the BWM home office, missionaries, and missionary projects. Your receipt will be provided you immediately after you give. You will NOT receive a receipt from BWM in the mail for any contributions given through our online portal. This online giving platform is not intended to be used to send personal gifts (i.e. birthday, Christmas, anniversary, etc.) Since all giving through this platform becomes tax-deductible to the donor, the missionary will pay tax on all money they receive that is not used for ministry purposes, including personal gift money. PayPal and other online payment systems are a better option for giving personal gifts to our missionaries. Since all online contributions incur a fee, the fee for your contribution will be deducted from the BWM account of the missionary or fund you give to. Ready to give? Click the link below! Automated bank drafting is most convenient for those individuals or churches that give the same amount to the same people/projects each month. You have your choice of a bank draft on the 1st or the 15th of the month. Once the transaction has been made, we will send you a receipt for your gift. If you would like to sign-up for automatic bank drafting, please download our sign-up form below, complete it, and send it to our office along with a copy of a voided check. Click HERE to download the automated bank draft form. Most contributions given to Baptist World Mission are tax- deductible. However, Christmas, anniversary, birthday, and the like gifts are not tax-deductible. Your receipt will specify whether your contribution is deductible or not. Not Sure Which Missionary to Give To? How about giving to As-Needed Fund? When donors give to this broad need, we combine all gifts received and then begin looking for missionaries who have special needs. Maybe they had medical out-of-pocket costs and do not have the money to pay for them. Vehicle and other necessities are at times very costly and can break even the most well-planned budget. Your contribution to the As-Needed Fund can be a great source of encouragement to a needy missionary. Read about how this fund has met a need by clicking HERE. Monthly bank drafting is one of the easiest ways for donors who contribute the same amount to the same missionaries/projects each month. A bank draft is an electronic transaction that takes money from one bank account and sends it to another. If you would like to have a set amount deducted from your bank account each month to support a missionary/project, simply click HERE to download the application. When you have printed and completed it, please send it to us using the postal address shown on the application. Thank you for your consideration of the needs of a BWM missionary. PERSONAL OCCASION GIFTS – NON DEDUCTIBLE Gifts made for personal occasions (birthday, anniversary, Christmas, etc.) are not tax-deductible to the donor and will not be taxable to the missionary. When sending your gift, please make a note indicating the recipient name(s) and that your gift is personal and non-tax-deductible (i.e. John Smith – personal gift – not deductible, Christmas). We will deposit it directly into their personal account and notify them of your gift. You will receive a receipt that indicates that your gift is non-deductible. MINISTRY OCCASION GIFTS – DEDUCTIBLE If you wish to give to support a missionary’s ministry at Christmas, include a note to that effect (John Smith – additional support, Christmas). We will apply your gift to the missionary’s ministry/support account and mail you a receipt indicating that your contribution is tax-deductible. NOTE: All Christmas gifts should be received no later than November 30 to ensure the missionary will receive it by Christmas. We have a sacred trust before God to use all gifts given us wisely. For those who see the need to further the work of missions and wish to give to Baptist World Mission on a regular basis during their lifetime we offer gift annuities. For those wishing to give after their death, we offer information regarding giving through one’s will. For those wishing to give to Baptist World Mission, the following wording may prove helpful in the preparation of your will. We are a 501(c)(3) organization incorporated in the state of Illinois. Our tax identification number is 36-6095549. I bequeath the sum of $____________ or ____________% of my estate to Baptist World Mission, Attn: Stewardship Ministry, PO Box 2149, Decatur, AL 35602-2149, to be used for its work in worldwide missions. If you have made us a beneficiary in your will, please let us know so we can thank you. Why should I send the mailback (the lower portion of my receipt from my last gift) with my next contribution? The lower portion of your last receipt has everything we need to properly credit your account for your new contribution. With the mailback, we can process your contribution eight-times faster than without it! This greatly helps us to keep our costs low and our time best-spent. What information should I place on my check? Placing your account number on the check is extremely helpful to insure that we credit your account correctly for your gift. When should I expect my receipt? 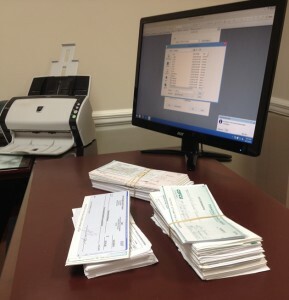 Receipts are mailed weekly so you can expect your receipt a couple of weeks after BWM receives your donation. Do I have to send a separate check for each missionary I support? One check for all missionaries you support is the best method. Will my receipt be sent by bulk or first-class mail? BWM desires to save money any way possible so most receipts will be sent bulk mail. This means your receipt envelope will not have an actual stamp on it so you may be tempted to think it is solicitation. What percentage of my donation goes to pay for the home office? BWM does not take a percentage of donations but charges a flat rate per missionary family. This rate is built into the missionary’s budget before they ever leave for their field of service. Since the fixed amount is built into the budget, missionary special projects have absolutely no administrative costs. All funds received for these projects will go toward that project.